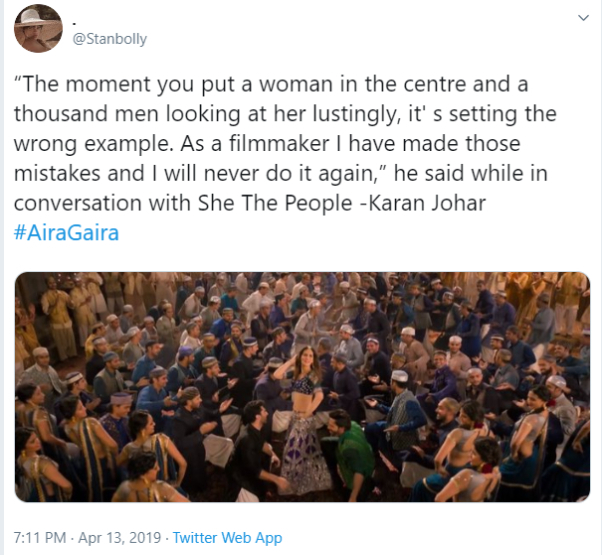 The newest song, Aira Gaira, from Karan Johar's production venture, Kalank is quite a rage on the internet. For multiple reasons. Some are simply in awe of the song and Kriti Sanon, who makes a special appearance. Some are shipping Aditya Roy Kapur and Varun Dhawan. And some are calling Karan a hypocrite. Let us hear them. So, in the new song, from the film directed by Abhishek Varma, we see Kriti dance in middle the two heroes and hundreds of other men. And that is exactly something KJo said, more than once, he'd never do in his films. Well, we are more shocked than the shocked Pikachu meme. In fact, Karan had repeated his words in 2018 interview, "I have gone on record and apologized that I have had item songs in my feature films and I don’t think I would do it again in a Dharma Productions film. I have no problem with a girl dancing; that’s not an item number. 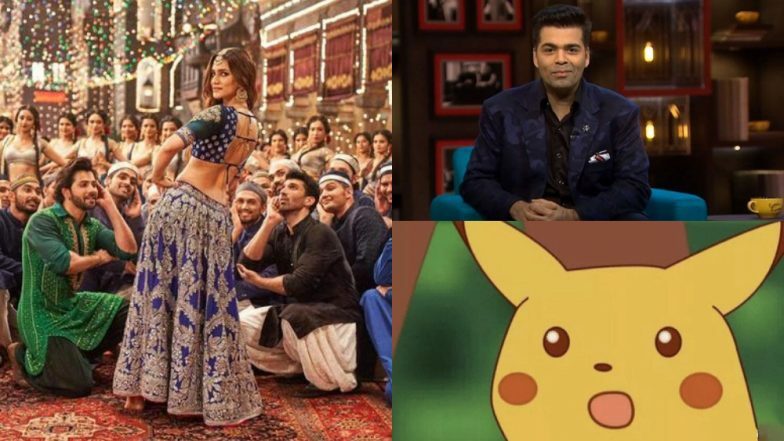 An item song is when she is objectified and when there are men lusting for her like in ‘Chikni Chameli’," Kalank Actress Alia Bhatt Offended by Kiku Sharda’s Jokes on the Kapil Sharma Show? Here’s the Truth. This won't be the first online outrage that Kalank has faced. It won't even be the second. Right after the first footage of the film dropped on the internet, fans could not help but compare it to Sanjay Leela Bhansali's template of movies. Then the movie's plot was rumoured to have been lifted from a book called What the Body Remembers, by Shauna Singh Baldwin. We wonder what's next. Kalank opens in theatres on April 17.